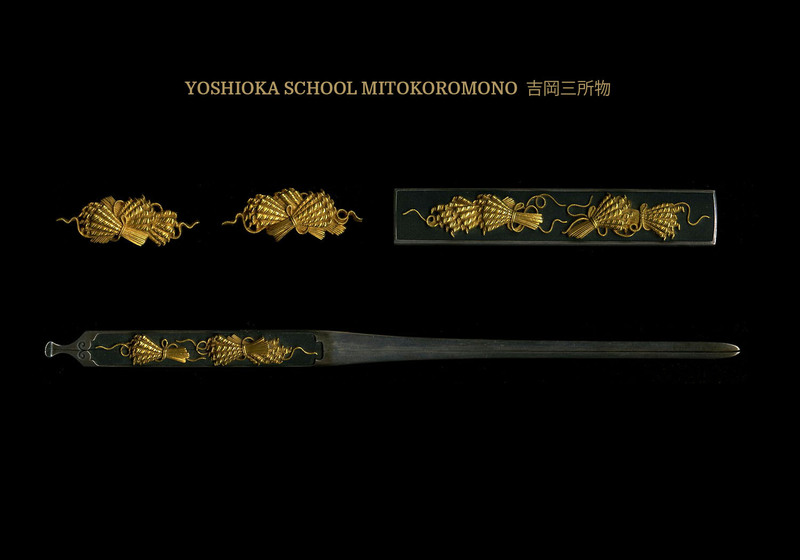 This is a beautiful mitokoromono (set of three items) that has been attributed by the NBTHK to Inaba no Suke (因幡介) of the Yoshioka (吉岡) school. The first generation of artists by this name worked in the early 1600’s. He founded the Inaba no Suke Yoshioka (因幡介吉岡) line of artists that lasted until the late 1800’s. 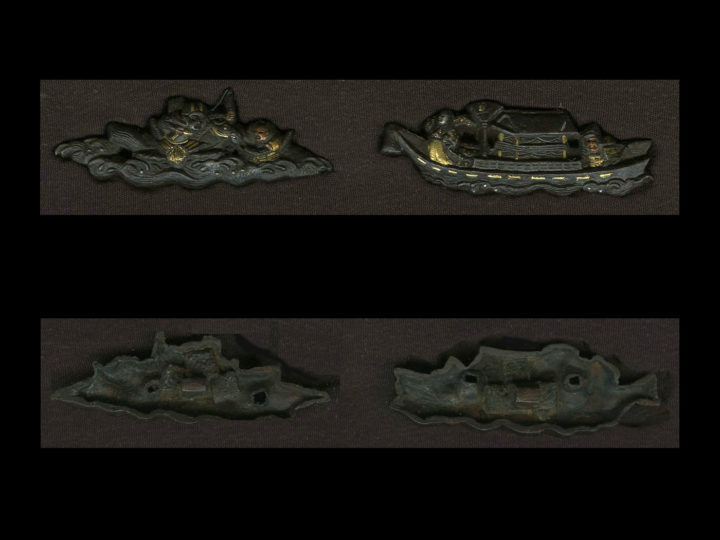 This set is comprised of a pair of solid gold menuki each with two of bunches of votive candles, a silver kozuka with a shakudo nanako background plate and four bunches of the same solid gold votive candles, and a matching kogai. The kogai is especially interesting. 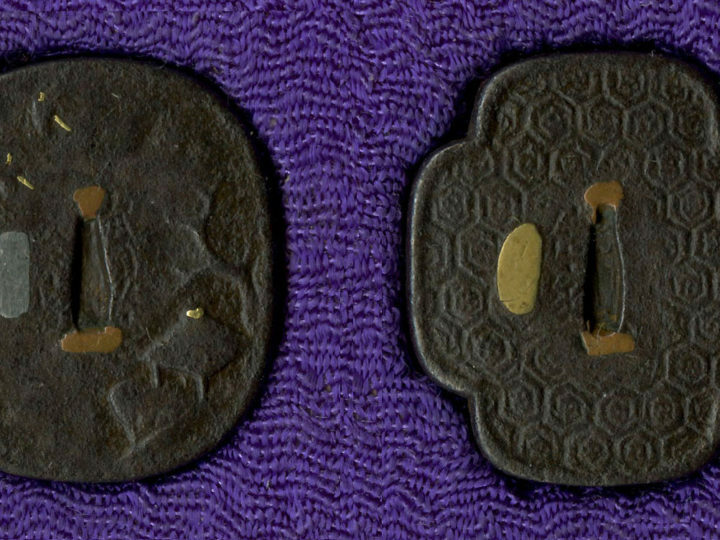 It is made of silver with a shakudo nanako plate on the obverse matching the kozuka. It has three sets of the solid gold bunches of votive candles matching the other pieces. 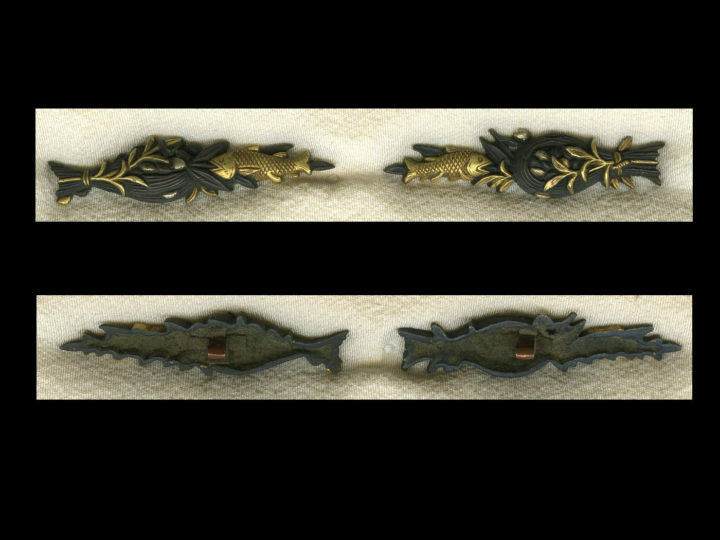 What is unusual is that the kogai is really a wari-bashi kogai meaning that it splits apart into two hashi (chopsticks). The workmanship is remarkable and the seam in the three bunches of candles is virtually undetectable. 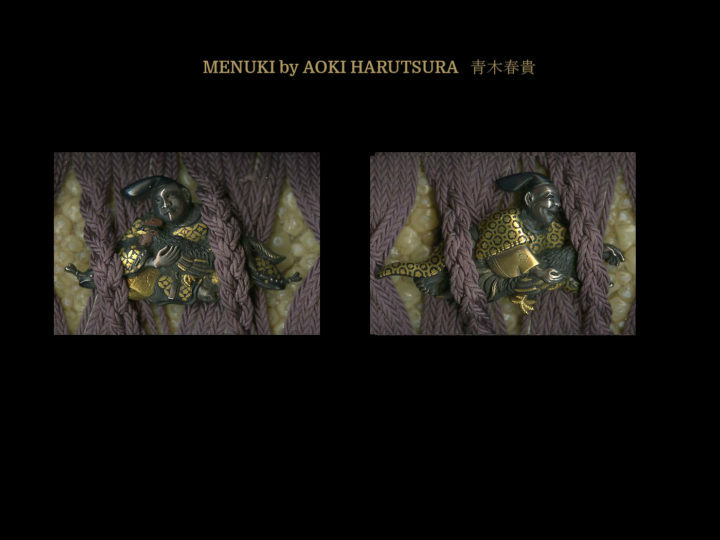 This magnificent set of fittings was awarded Tokubetsu Hozon papers by the NBTHK.